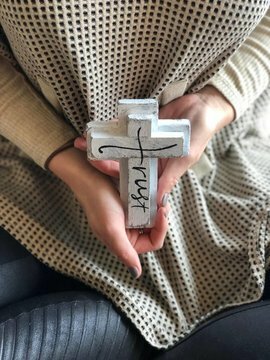 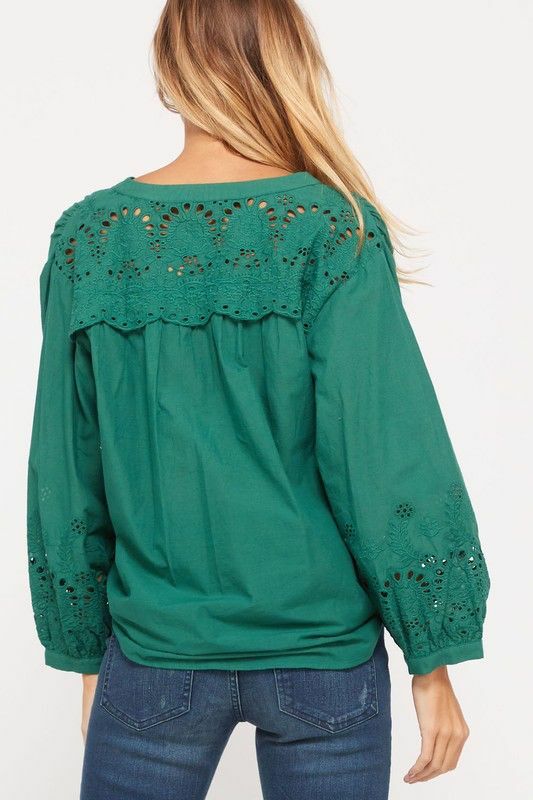 The perfect top for spring! 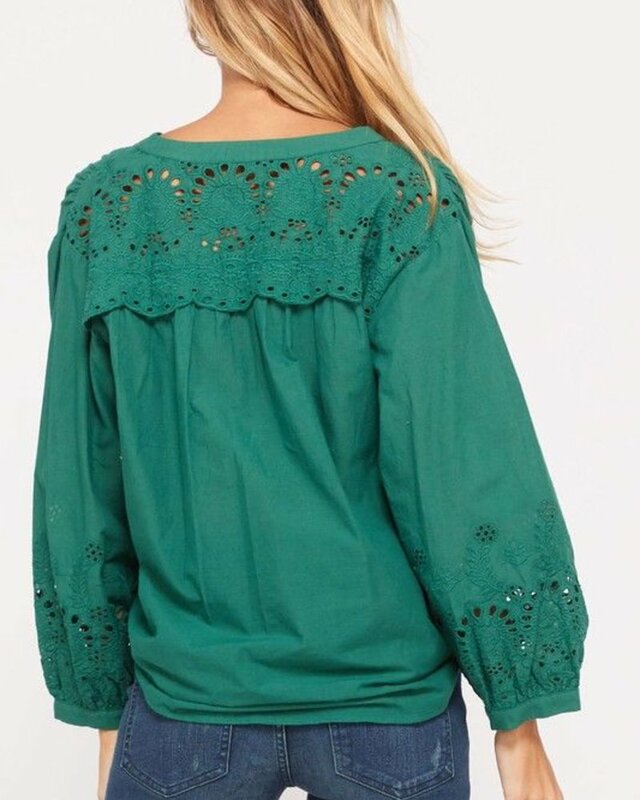 This bright green will bring your wardrobe into beautiful spring days. 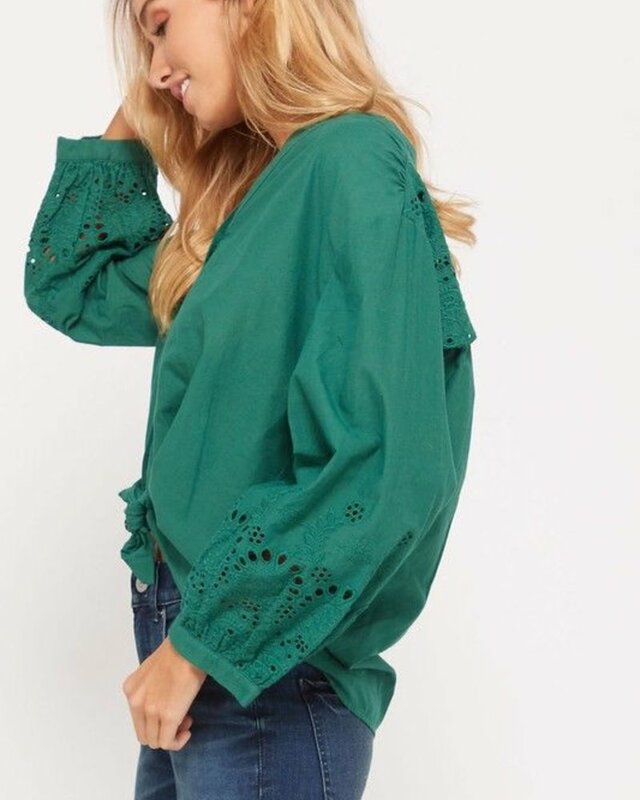 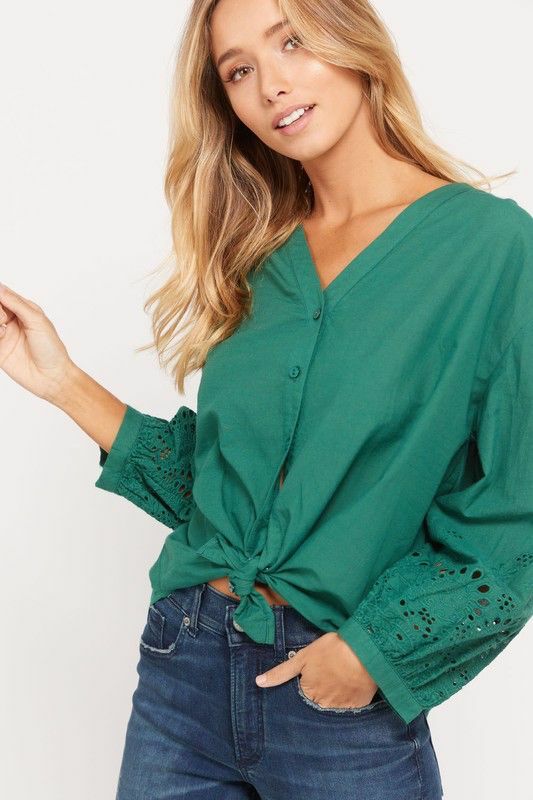 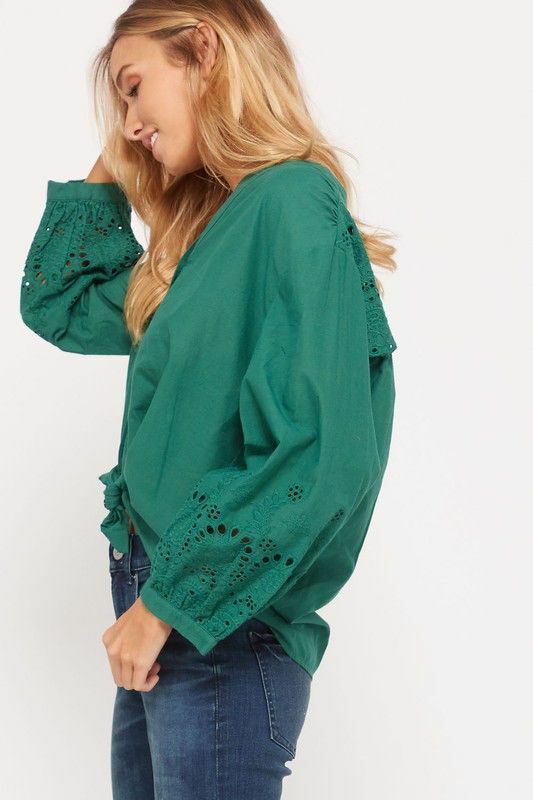 Featuring crochet detailing on the sleeves and back as well as functioning buttons, tie this one up in the front or leave it long with shorts for the perfect warm weather look!